Wiring a Bosch Rexroth valve without connecting the Ref Zero properly can cause control issues. 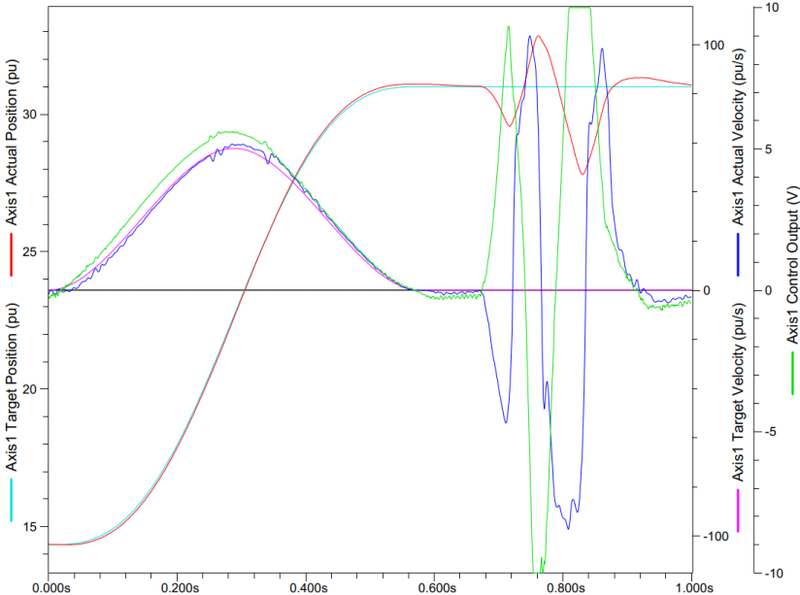 When the Ref Zero is not wired properly, the common mode voltage of the differential analog input relative to the reference can become too large. This causes the spool to move in the wrong direction. Below is a plot from a real-world application that was exhibiting this issue. 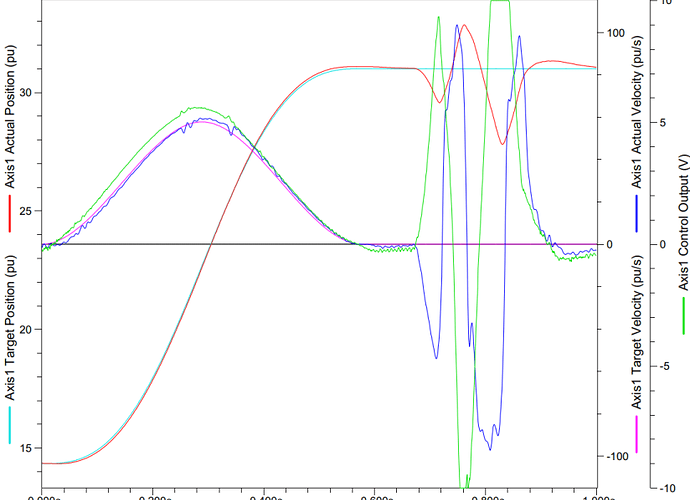 The actual velocity (blue line) follows the control output (green line) until about 0.7 seconds, when it goes in the opposite direction of the control output. This behavior persists until about 0.85 seconds when the valve regains control. Wire the valve as shown in the below wiring diagram to prevent this issue from happening. This wiring diagram also applies to the RMC150 and RMC200.